Tanzanite is a beautiful blue gem with just a hint of violet. It is the blue variety of the gemstone zoisite. It was discovered in 1967 in the Merelani Hills at the base of Mount Kilimanjaro in Tanzania. This is the only place on earth where this gemstone is found. Most tanzanite comes out of the ground with a yellow-brown cast. It is heated to bring out the deep blues and remove the brownish cast. Depending on the size and quality of the stone, tanzanite can range from deep blue-violet to pale lavender-blue. The deeper the color, the more prized the stone. Tanzanite is thought to promote compassion, calm an overactive mind and bring a peaceful understanding of one's heart. Care: Clean using warm, soapy water and a soft cloth. Rinse thoroughly. Do not use steam or ultra-sonic cleaners. Tiger eye is a member of the quartz family. It has rich yellow and brown stripes with a golden luster with a strong chatoyance (cat's eye effect). The stone gets its name from its resemblance to the golden brown eyes of a tiger. Roman soldiers reportedly wore tiger eye for protection in battle. However, it wasn't until sometime in the late 19th century that tiger eye made its debut as a gemstone. 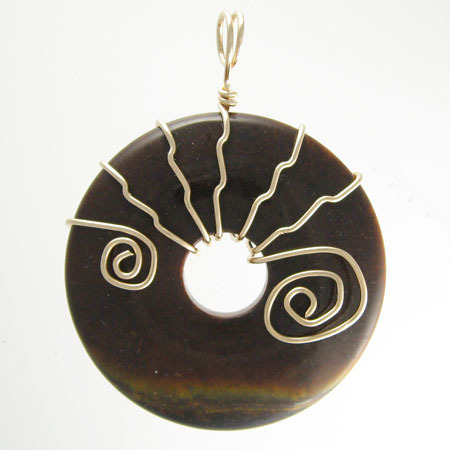 Tiger eye has traditionally been used as a gift between lovers to help them tune into each other. It is also thought to aid in focusing the mind. Care: Protect it from scratches and sharp blows and avoid large temperature changes. Do not clean it with alcohol or abrasives. Clean it with mild dish soap, and use a soft toothbrush to scrub around and behind settings. Topaz is most commonly known as a striking yellow, yellow-orange, or pinkish-orange gem. But in addition to these luscious shades of yellow, topaz is also found in white, blue, pastel pink and sherry red. While there is natural blue topaz, most blue topaz on the market is created by irradiating (treating with radiation) white topaz. The lighter shades of blue topaz are frequently used in place of aquamarine. The ancient Egyptians said that topaz was colored by the golden glow of the mighty sun god Ra, giving this brilliant gem the power to protect the faithful against harm. The Romans associated topaz with Jupiter, who also is the god of the sun. The ancient Greeks believed topaz could increase strength and make a wearer invisible in times of emergency. Topaz was said to change color in the presence of poisoned food or drink. It was also used as a medication to cure fevers. Topaz is the November birthstone. 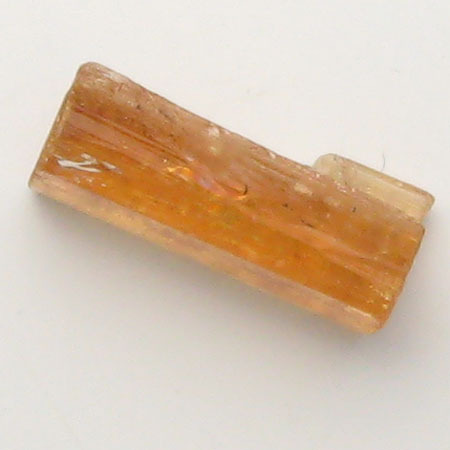 Topaz is believed to promote openness and honesty. It is thought to aid in problem-solving. Topaz is said to make you receptive to love. Care: Clean only with mild soapy water; use a soft toothbrush to clean around prongs and behind settings. ​Imperial topaz refers to topaz with rich reddish orange, sherry red, or vivid deep salmon pink colors. Almost all imperial topaz is mined in Brazil. It is believed imperial topaz draws love to its wearer. Imperial topaz is also thought to assist in overcoming limitations and to strengthen faith and optimism. Tourmaline comes in a rainbow of colors and color combinations including red, pink, blue, green, yellow, clear and black. A stone may be of one color or a mixture of two or more colors. The word tourmaline is derived from the Sinhalese (Sri Lankan) word tura mali, meaning "stone of mixed colors." Many colors of tourmaline have their own name in the gem world. These include rubellite (pink to red), indicolite (blue), chrome (green), paraiba (bright blue/green), schorl (black), dravite (brown) and achroite (colorless). Tourmaline has two rather amazing physical characteristics. It is piezoelectric; this means heating, rubbing or pressurizing the crystal gives it an electric charge, attracting small objects such as hair or small pieces of paper. It also is pleochroic; looking darker from some angles than from others. Tourmaline is renowned as the gem of sensitive poets and creative artists. Shakespeare even had a small collection of tourmaline jewelry to help him overcome writer's block. Tourmaline is believed to inspire creativity and was used extensively as a talisman by artists and writers during the renaissance through the late 1800s. The Empress Dowager Tz'u Hsi, the last empress of China, loved pink tourmaline above all other gemstones. She imported tons of tourmaline from Southern California in the early twentieth century, creating a gem rush in San Diego during the period. In medieval times, tourmaline was thought to heal physical and mental disorders, and prevent death. Today, tourmaline is said to dispel fear, negativity and grief. It is also believed to attract inspiration, compassion, tolerance and prosperity. Care: Clean only with mild, soapy water; use a soft toothbrush around prongs and behind settings. Do not use in steam or ultrasonic cleaners. Protect it from sharp blows, scratches and avoid drastic changes in temperature. ​Chrome tourmaline is the deep, bottle green variety of tourmaline. This is one of the rarest colors of tourmaline and found only in East Africa. Chrome tourmaline is differentiated from the more common and less vibrant green tourmaline by its chromium content. Chrome tourmaline is believed to aid sleep and quiet the mind. It is also thought to bring appreciation for the many wonderful things life has to offer. ​Indicolite is the blue variety of tourmaline. It is colored by iron, can vary from a light to a deep blue. Pure blue is extremely rare. Most indicolite will have a teal or blue-green color. Indicolite tourmaline is said to promote living in harmony with the environment. It is believed to bring joy and happiness. ​Paraiba is the neon blue/green variety of tourmaline. It was first discovered in 1989 in Paraiba, Brazil. These gems had an unusual vivid blue-green that had never been seen before in any gemstone. They appeared to glow with a neon or electric-like quality, even in the rough stone. Analysis showed that this unique effect was due to the presence of copper and manganese. In 2001, similar copper-bearing tourmaline was found in Nigeria. And in 2005, a third find was made in Mozambique. The name "paraiba" applies to all copper-bearing tourmaline, regardless of where it is mined. Rubellite is the red to shocking pink variety of tourmaline. The name comes from the Latin rubellus, which means reddish. A true rubellite shines just as intensely in artificial light as it does in daylight. Whereas other pink and red tourmalines display a more or less clearly visible tinge of brown in artificial light. 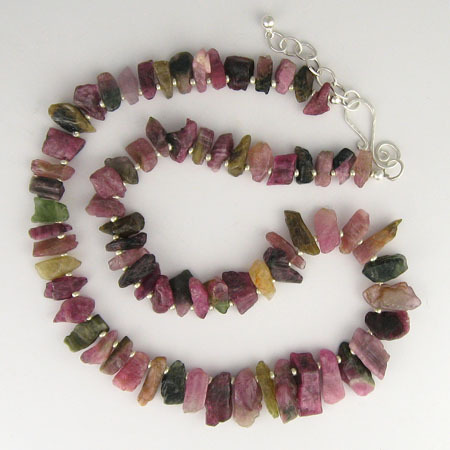 Rubellite tourmaline is believed to increase creativity and zest for life. Watermelon tourmaline is a rare variety that displays three different colors in the same crystal - green (the skin of the watermelon), pink (the sweet fruit) and white (the rind). The colors of watermelon tourmaline are 100% natural. To show them to the best advantage, the gemstone is often cut into slices. According to legend, watermelon tourmaline attracts love as well as reduces nervousness and anxiety. Some believe the green crystals feed your life force while the pink crystals are soothing and harmonious. ​Turquoise has a rich history. The oldest known piece of jewelry, a turquoise bracelet, was found on the wrist of a 7000 year-old mummified Egyptian queen. Turquoise was so prized by the Egyptians, that when high quality stones were no longer available, they developed a copper glazed ceramic simulant called faience to use instead. The name “turquoise” comes from the French “pierre turquoise” meaning Turkish stone in reference to the Levantine traders or Turks who brought the stones to Europe from the Eastern Mediterranean. Turquoise occurs naturally in shades ranging from sky blue to green-gray, depending on the mineral content of where it is mined – copper adds blue, chromium or vanadium adds green and iron adds yellow. It is usually found in locations where copper is present in the soil in high concentrations. For centuries, the finest quality turquoise came from Persia and was a robin’s egg blue with no matrix. (Matrix refers to the veins or splotches of brown or black running through the stones.) Today turquoise of that same high-quality, beautiful color and lack of matrix comes from the Sleeping Beauty Mine in Globe, Arizona. Turquoise is rare. It is said there are more karats of diamonds in the world than of turquoise. 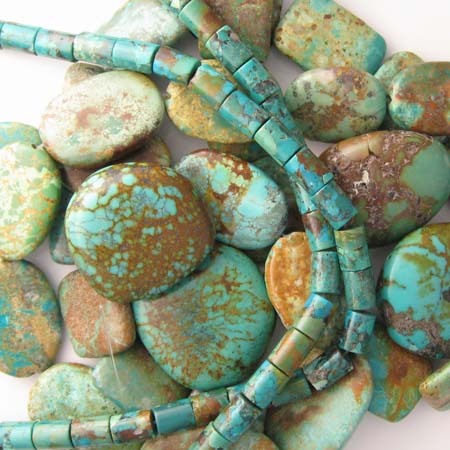 Turquoise is still mined by breaking it out of rock with a pick or a hammer and chisel. This technique is necessary to remove the turquoise from its mother rock without damaging it. Once taken from the ground it is sorted by hand for size, quality and color. In general, the richer the color of turquoise, the higher its value in the marketplace. 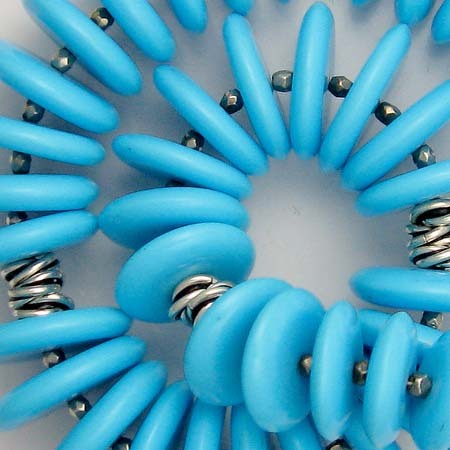 The most expensive turquoise is pure robin’s egg blue with little or no matrix. Turquoise is the birthstone for December and for Zodiac signs Scorpio, Sagittarius, Aquarius and Pisces. ​Turquoise is a relatively soft stone which means it can be easily scratched. It is also porous which means it can absorb skin and other oils which will cause the stone to yellow over time. Here’s how to keep your turquoise jewelry looking its best. Store it separately from other stones which could scratch it. Keep it in its own pouch or box and be sure to put it away after each wearing. Keep turquoise away from all chemicals, including household cleaners. Never wear turquoise while swimming in chlorinated pools. Avoid getting hair spray, perfume and make up on them. And take your turquoise jewelry off before bathing or showering. Clean turquoise gently. Use a moist, lint-free cloth to wipe dirt and grime from the stones. Do not use ultra-sonic cleaners, harsh detergents or ammonia-based cleaners. Howlite a white rock with black or gray markings. Magnesite a chalky white mineral that forms in rough nodules looking faintly like the vegetable cauliflower (pictured at right). Block turquoise which is a mixture of plastic resin and dyes that is produced in loaf sized blocks. There is no actual rock of any sort in block turquoise; it is entirely man-made. Ceramics, such as the faience created by the ancient Egyptians. Generally, if the price of turquoise or turquoise jewelry seems too good to be true, you’re probably looking at an imitation. ​The Pima consider turquoise to bring good fortune and strength. They also believe it helps overcome illness. The Zuni believe blue turquoise was male and of the sky, and green turquoise was female and of the earth. Pueblo Indians thought its color was stolen from the sky. In Hopi legend the lizard who travels between the above and the below excretes turquoise. They also believe the stone can hold back floods. The Apache felt that turquoise on a gun or bow made it shoot straight. The Navaho consider it as good fortune to wear. Turks believe turquoise makes a horse sure-footed and protects its rider from injury. Turquoise is believed to instill inner calm and dispel negative energy. It is also thought to assist in creative problem-solving. ​This turquoise comes from a mine outside of Globe, Arizona. It is a beautiful pale to dark robin’s egg blue with no matrix. It is considered to be some of the most exquisite turquoise in the world. Originally copper and cold were mined from the Sleeping Beauty Mine; however for over a decade only turquoise has been mined. The Sleeping Beauty Mine is the largest turquoise mine in the US and possibly the world. The mine is named for the Sleeping Beauty Mountain, which from a distance resembles a woman sleeping. Sleeping beauty turquoise is a favorite of the Zuni Pueblo silversmiths for its use in petite point, needlepoint and inlay jewelry because of its natural hardness and consistent color. Only a small portion of the world's turquoise comes right out of the ground as top, gem grade. Most of the turquoise mined world-wide is just not hard enough to use without treatment. Enhanced turquoise: The Zachery or Foutz process impregnates turquoise with vaporized quartz. This makes the stone harder, darkens the color and allows it to take a good polish. Stabilized or Treated Turquoise: A process which uses pressure and heat to fill the microscopic gaps in the stone with plastic resin. When cured the product is a treated stone hard enough to cut and polish. 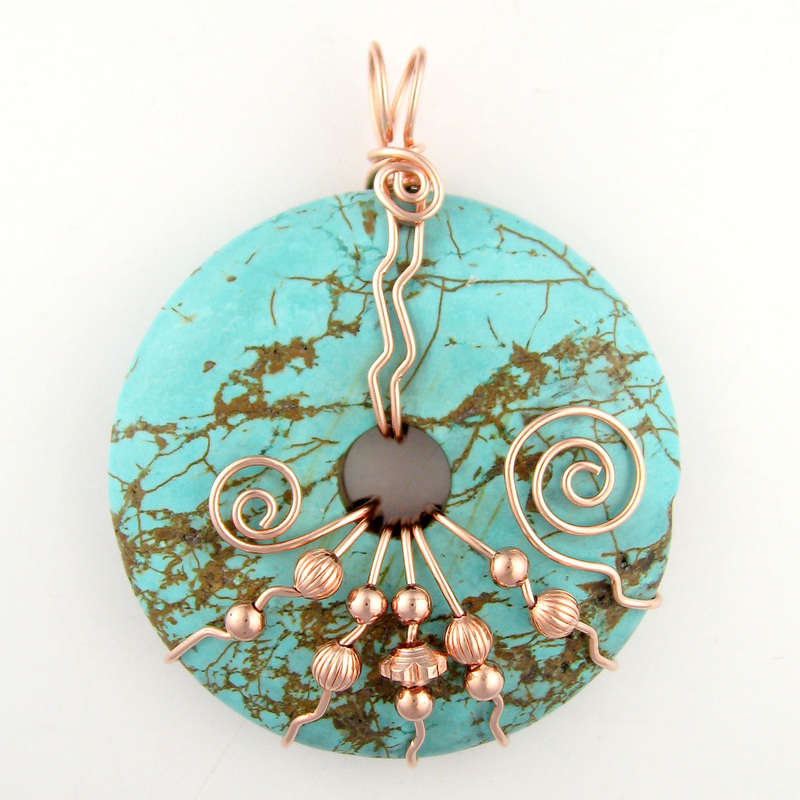 Stabilization allows genuine but lower grade turquoise to be used in jewelry. Waxed: Turquoise is impregnated with wax. This paraffin treatment deepens and stabilizes the color but only affects the surface. Reconstituted: Pulverized turquoise scrap from stone cutting is mixed with blue dye and plastic binder. Compressed Nugget is a similar product made from larger pieces. Authentic white turquoise often called Sacred Buffalo Turquoise comes from a mine on the Shoshone Indian Reservation in Nevada. Sacred Buffalo turquoise is extremely rare and therefore demands a high price. Other mines in Arizona and Nevada produce a “white” turquoise, which actually has a slight blue or green tint caused by the minerals which actually make the material test as authentic turquoise. Two white gemstones with a black matrix, howlite and magnesite, are sometimes marketed as “white turquoise.” While these stones are beautiful in their own right, they are not turquoise. ​This beautiful gemstone is actually a mix of serpentine, jasper and quartz; and is not actually turquoise. 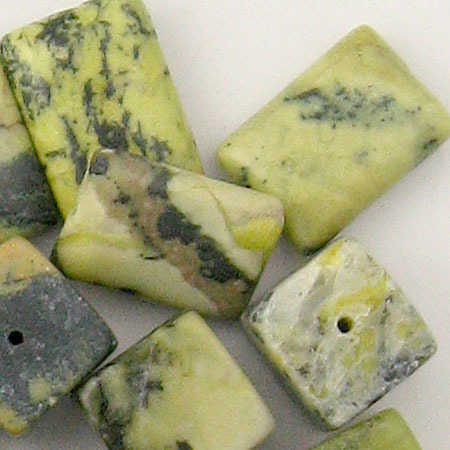 Yellow turquoise got its name because it is most often found near true turquoise mines.